Is your young athlete obsessed with expensive athletic shoes? Do you let him or her buy expensive shoes? Do you pay for them? If you do why? If you don't why? Share your point of view with me and my readers. My son is obsessed with basketball shoes, baseball cleats and golf spikes. My 14 year old son, Nic, is only 5' 6" but he has size 11.5 feet. I always tell him that one day he is going to be a big strong athlete or a short clown. Those constantly growing feet have cost me a lot of money over the years because every sports season since he was 5 and I have had to purchase him new athletic shoes. That's what dads do. Another thing dads do is put a reasonable budget on each shoe purchase and I have always done that. Apparently in this Facebook super transparent world, the shoes still make the man. My son likes to stand out. That's a problem when you play a team sport with uniforms. However, the one element of a uniform that Nic can control in most cases is his shoes. He uses his choice of shoes to make himself standout. Shoes have become a part of his identity and a reflection of his "full of life" personality. As such, he is currently obsessed with basketball shoes, baseball cleats and golf shoes. Over the last 6 months, Nic has purchased five pairs of basketball shoes for a combined total of about $550. You'll notice from my Youth Sports Costs list that only one is listed. I agreed to pay a portion ($80) of the only pair of these shoes (the white retro Jordans) that qualified as school shoes under his school's strict uniform policy. You are probably wondering how he buys his shoes if I don't buy them for him. Well, Nic is a hard worker. He mows lawns and watches a neighbor boy periodically to earn money to support his obsession with shoes. I keep telling him to put the money in his car fund (which I match dollar for dollar), but I guess shoes today are more important than a car tomorrow. I constantly remind him that his shoes will get him from point A to point B just like a car, but it's really tough to take a girl to the movies when the only mode of transportation you have is a pair of Pink Nike HyperDunks. I guess saving for the future is a lesson that he needs to learn the hard way though experience. Here is a list of shoes he has purchased most recently to stand out. He also has purchased a matching headband for each pair. 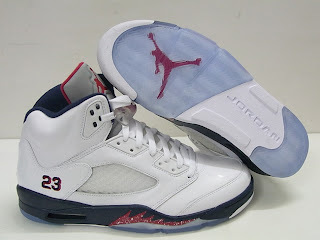 He bought these shoes online or at his favorite store the House of Hoops. The House of Hoops is a store within a store at select Footlocker locations. The closest one to our house is 100 miles away in Columbus. Fortunately for my son, we are in Columbus for soccer, baseball and basketball tournaments every other month. Nic was inspired to purchase the pink pair by watching the NFL breast cancer awareness campaign. During the month of October, the NFL players and coaches are raising awareness for breast cancer by donning pink (gloves, hats, shoes, sweatbands, etc.) for the A Crucial Catch Pink Campaign. You'd have to be crazy to buy multiple pairs of basketball shoes totaling $550 for feet that may still be growing. I'm not crazy, but my son apparently is and so are some of his friends. I am not really happy about his choice to spend money in what I think is a frivolous manner, but I also think that a person who works hard and earns his or her own money should be free to buy whatever they want to buy (as long as it is legal). I believe in limited government and freedom, so it's against my principles to mandate how my son spends his hard earned money or what color shoes he can and cannot wear. It would take away all of his motivation to work. My wife and I have taught our son that you need to work hard to get the things you want in life. He has learned this lesson loud and clear. I hope that our message regarding the importance of saving money for the future is being heard too and that one day he will put it into practice. What is your stance on expensive sneakers? I've had this predicament a couple of times already. Both my boys are crazy about soccer and they want the newest, raddest soccer cleats available. I've had to explain I can only afford certain type of athletic shoes and so far they've been okay with it. My oldest is about to become an adolescent so I have a feeling this is all about to change (for the worse?. Nice write-up and very cool blog you've got going on here! Thanks - I am like you. I set a limit and if they want a more expensive pair they need to come up with the additional dollars. Regarding your comment on it getting worse as your kids get older - As kids move into adult sizes the variety available seem to explode exponentially and the peer pressure to keep up intensifies. I think shoes are just a "boy" thing, as I havent had to deal with it too much with my girls. My little ones (6 and 8) are still ecstatic with the $15-$20 soccer shoes (as long as they have pink accents), and are just fine with the $25 bball shoes. My dd2 just turned 11, but has a size 9 foot. As we generally need to buy her new cleats every fall and spring I try to keep them around $50. 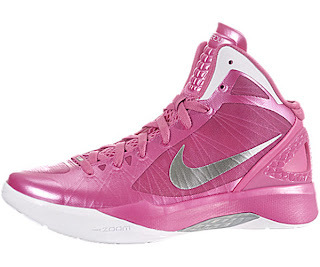 We pick up basketball shoes at the Nike outlet which generally helps. My DD1 is a freshman this year, but still wears kid size shoes, and her feet have not really been growing. This generally keeps the cost down considerably. She plays both high school and club soccer, so she needs two pair of cleats. She wears her current year shoes for whichever is in season, and wears laast years shoes for her offseason practices. She has a pair of cheap black cleats for refereeing and as her spare pair for tournaments. Now where we spend a lot of money is keeper gear. Both of the older girls are full time keepers, and they each want multiple jerseys and expensive gloves. They are very picky about gloves, and will try on every style to find the "just right" one. I'm not sure that it is a boy thing, my daughter had to have Labron shoes - $116 - $85 after she participated in an online survey with Footlocker. And she love soccer cleats. Maybe she is just overly influenced by her older brother. My daughter is 16 and my son is 11 and I never spend over $30 for shoes in any sport. Most times I get it in the $20 range. We've got some great discount stores. Big 5 is a sporting good store that always has a good sale. Marshall's is another good store for buying discount sports shoes. Found a $60 pair of Nike soccer shoes for $20 at another discount shoe store. Went to Goodwill and picked up some great Nike football cleats that were gently used for $6. My greatest shoe deal wasn't an athletic shoe, picked up a beautiful pair of dress shoes for $1 at Salvation Army. He rarely wears his dress shoes. Why spend a lot of money on them when he's going to grow out of them. Have used online sites to buy great track shoes for $10 to $20 in the past. This past track season, we were given a pair of track shoes that he used the entire year. Nordstrom Rack sells quality & stylish athletic shoes for $30 and up. Take you son to places like these, he can style for a lot less & get the money for the car fund. Make sure you show him my response & tell him that it's nice to style in fine shoes, but you don't have to pay top dollar to do it. Clarence you are a lot smarter than me. Thanks for sharing your money saving tips with my readers. I would love to have the last one. If you are going to spam my website - learn how to write proper English. I like the pink shoes, thanks for your sharing. Mu new boots fit and feel great. And look better than expected. Loved them so much I had to go in and order another pair. I am glad to add them to my collection! kd 9 shoes could not eat rice: "To so, how do you get the better of him?" "For the company's future, it is a wise decision. nike kd 7 feel very good." Yan Liang head down Knut mouth, overtly not refute. The sole affects the traction particularly after you play on the clay or arduous court. those that play totally on the arduous court ought to explore for court game shoes with outsoles with a good variation within the style to induce the simplest traction. The LeBron 13 features a grey-green upper reminiscent of the neutral tones of Toronto's winter along with icy marbled outsole and pins that honor James' accomplishments. Kyrie Irving spent less steve curry shoes than a year on Dukes campus, but that time left an indelible impression on the Cavs superstar. Next month, the Nike Kyrie 2 Brotherhood recalls nike air max penny those Durham days.Like last years Kyrie 1 of the same nickname, the Nike Kyrie 2 Brotherhood draws on Dukes official palette for its colorway. Vivid royal new balance 2001 blue stretches over the mesh upper, sharply contrasted by black on the strap and midsole, while white branding and outsole round out the look in Cheap Kobe 9 Elite High style.The Nike Kyrie 2 Brotherhood releases March 12 at Nike Basketball accounts nationwide. Looking to follow in the footsteps the the recently released Nike KD Cheap Blake Griffin Shoes 8 EXT, this Nike Kobe 10 EXT High looks to garner the same attention. With a look very similar to the KD version, let's take air max 90 white a look at this Kobe sneaker that combines an all black upper with a gum bottom. Everyone loves the Tennis Classic. Everyone loves Flyknit. So, all air jordan retros why wouldnt you combine the two?Well, if youre Nike, you would, and here it is; the fruit of that amalgamated labor; the Nike Tennis Classic kobe 10 high top Ultra Flyknit. The new model retains the acclaimed lowtop silhouette, but swaps out the usual leather in favor of an all-Flyknit construction thats complemented by kobe x for sale a leather Swoosh and heel-tab, nike running free nods to the OG Tennis Classic.A reimagined foam sole drops weight as well as tends to be the case with Ultra models while keeping aesthetics in line with TC tradition.The Nike Tennis Classic Ultra Flyknit drops in the next month or so. 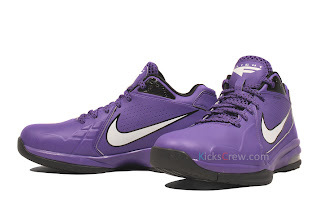 Take a closer look kobe high top below, while we track down more detailed launch info. A photo of the Nike Kobe 11 has emerged in a multicolor theme different from previous Cheap James Harden Shoes models. 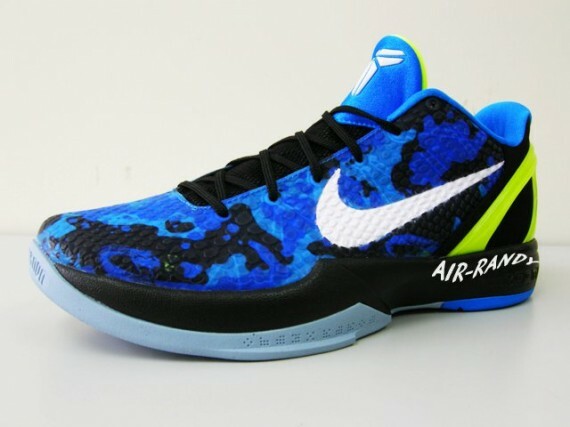 We first saw a multicolor flyknit basketball silhouette with the Nike Kobe 9 which was a huge hit especially on NIKEiD. We then saw Women Stephen Curry Shoes the Nike Kobe 10 hit NIKEiD but the response was not as popular as it's predecessor because the traditional full length multicolor option was not kobe 9 high top available. The alleged multicolor Nike Kobe 11 shows a multicolor flyknit upper with a bright red liner, black laces and volt accents. The most unique Nike Lebron Soldier 9(IX) part of the colorway is the seemingly translucent multicolored outsole. 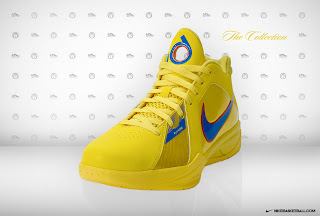 We cannot confirm the authenticity of this colorway as it has not been confirmed by New KD 7 Lightning Nike as of yet but this is definitely interesting! When buying sports shoes, it is important to take certain considerations in mind. This applies to take all games including tennis. Subsequently, so as to buy the best pair you need to think about points such as size. I find a website for the Shoes for Playing Tennis. If you want you can visit this site.